At First School we have developed an environment where your child is an independent learner utilizing the first years of life when vital learning occurs at it's best and fullest. Reading is the key to independent learning and therefore we have developed a program that guides your child through steps enabling him or her to become an early reader. Children who learn to read before elementary school are better learners reading at their own individual pace and at First School we provide your child with that opportunity. Our classes are structured to allow the individual child to progress at his/her own rate and level and each of our classes includes an early education curriculum that develops social skills side by side with his/her academic knowledge. The concepts and experiences in our program are sequential and developmental. Our curriculum has a Montessori basis which utilizes hands-on activities and equipment. The language program we use is phonetic as well as visual because some children learn best audibly while others do visually. We have incorporated a computer program and a four station light tracing table to reinforce the hands-on activities. Your child will learn language, math, science, art, music, and fine and gross motor skills while developing important social and self-help skills. 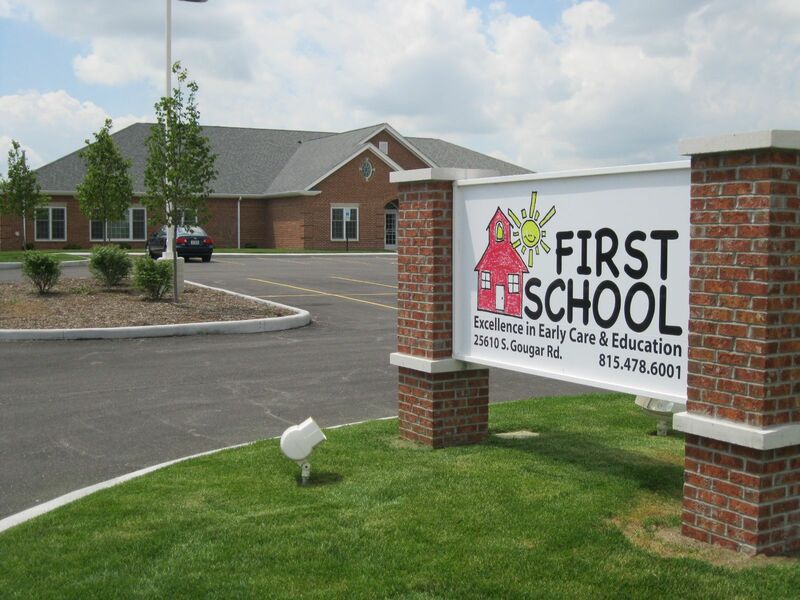 First School is an exciting experience fostering a joy for learning now and all through your child's life. We set high standards for academic excellence in a loving, non-competitive environment. We are committed to providing the best possible atmosphere for your child that nurtures their natural love of learning and focuses on their unique and individual strengths. "Both of my children have attended this school. It is always immaculately clean (as a high school teacher of 15 years, I can tell you how important this is), wonderfully staffed, and the curriculum is incredible. The director is very caring and knowledgeable and really knows how to manage a school. Their pre-k and aftercare program (for the children attending any of the Manhattan schools) are fantastic. We have been a part of the First School family for almost 3 years. There is no other place in Manhattan I would trust as much as I trust them." "We have two kids that attend first school and I still remember the first day of school for my little guy. He was so upset and scared because he had never been to a school before and he was having separation issues. The director came over and was able to calm him down and helped him not feel so scared anymore. She even spoke with me right after I had left to let me know how he was doing. Sure enough when I picked him up he was happy and wanting to come back to school."